Voluntary action amongst openly LGBT (lesbian, gay, bisexual and trans) people began in the 1960s. Prior to 1967, male homosexuality in the UK was illegal both in public and in private. Any man who formally identified himself as homosexual was effectively admitting to being a criminal unless he could prove life-long chastity. The Homosexual Law Reform Society (HLRS) was formed in 1958. Although many homosexuals were members, including its influential secretary, Antony Grey, it was essentially a liberal lobby group which supplied information to sympathetic MPs and Lords, who pushed law reform through Parliament. 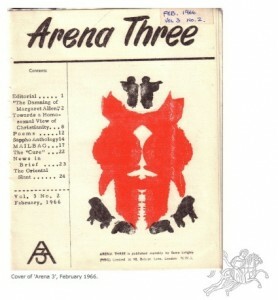 Women were not affected by the law and so the first overt (although discrete) voluntary action groups were formed by lesbians, firstly the magazine Arena Three which started in 1964, and then the social group, Kenric, which was founded in 1965 and continues to this day, making it the oldest LGBT institution in the country. The Sexual Offences Act 1967, which decriminalised male homosexuality, contained many restrictive provisions (it only applied to England and Wales, it contained a very narrow definition of “in private” and it retained an age of consent of 21, although the general age of consent was reduced to 18 shortly after it was passed). The LGBT movement in the UK was therefore dominated for the next thirty years by the long struggle to achieve legal equality. In 1969, the Campaign for Homosexual Equality (CHE) began to expand outside its Manchester base and set up local groups across England and Wales. It aimed to form a national pressure group which would try to convince MPs to support further law reform in the hope of obtaining a majority in Parliament, on the assumption that there would again be a free vote on a moral issue. CHE was a traditional reformist association with formal rules and a hierarchical organisational structure. Its meetings attracted both political activists and those who wanted to socialise with other LGBT people. In the mid-1970s it had a membership of over 5,000 people, by far the largest mass LGBT organisation in the country, but its influence waned in the 1980s. In October 1970, the Gay Liberation Front (GLF) started meeting in London. Inspired by feminism and the American New Left, it rejected reformist politics and adopted a personal politics based on coming out and being openly and proudly gay. Although relatively short-lived, GLF was enormously influential in freeing LGBT people from their fears and inhibitions. During the early 1970s, LGBT people themselves started numerous and diverse voluntary action initiatives. These included advice and counselling services, such as Albany Trust, Friend and Icebreakers, as well as telephone information services like the London Lesbian and Gay Switchboard and similar services in other cities. The LGBT press became established with the newspaper Gay News (1972-1983) and the magazine Sappho (1972-81). Religious groups became involved, notably the Lesbian and Gay Christian Movement and the Metropolitan Community Church, as did student associations including Gaysocs and leisure organisations including the Gay Outdoor Club. London was the centre but there were many organisations or branches in provincial cities throughout the country, with separate organisations working in Scotland and Northern Ireland. Initially these organisations received virtually no official funding and were almost entirely staffed by volunteers. A big change came with the advent of HIV/AIDS in the 1980s. In the face of a major health crisis, both activists and the government realised that voluntary action alone was not sufficient. Despite mutual wariness, central government and local authorities began funding organisations to provide services for people with AIDS and to run awareness and prevention campaigns. At the same time, the Greater London Council set an example by funding the London Lesbian and Gay Centre and, amidst the battles over Section 28, other local authorities followed suit. Another important source of financial support has been the Lottery, which identified LGBT people as a priority group and has funded a number of projects, including youth groups and research on LGBT heritage. Most historical research in the UK has concentrated on political activism at the national level and life in the major LGBGT population centres of London, Manchester and Brighton. Until recently, relatively little attention has been given to voluntary action in other fields or in other provincial cities. I have recently researched and published a book on the LGBT movement in the Bristol/Bath area. This focuses on a social and support group called Gay West, which traces its origins back to the Bristol group of the Campaign for Homosexual Equality (formed April 1970) and the Bath Gay Awareness Group (formed November 1971). 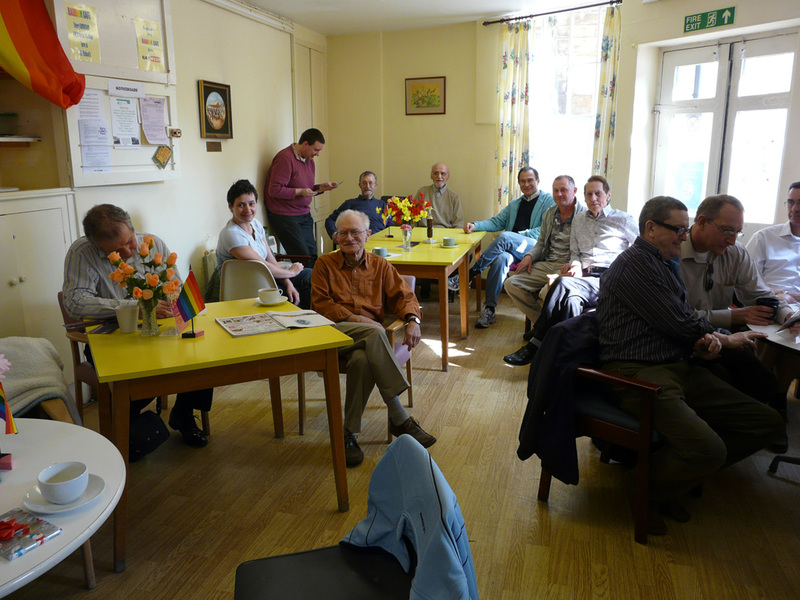 This makes Gay West one of the longest-lasting LGBT organisations in the country. I have looked in detail at how Gay West has run itself as a voluntary organisation, with a constitution, elected committee, minuted committee meetings and AGMs, formal membership and a monthly newsletter. I have also analysed how the group has handled such issues as identity (helping people come out and adopt a LGBT identity, relations between male and female members, different age groups and other minorities), political controversy, e.g. the campaign against Section 28, and relations with the wider society. In the 1970s, activists in Bristol relying on their own resources formed a whole range of services and activities, including a Switchboard, a Gay Centre and an annual Gay Festival. In the 1980s, some of the same activists reacted to the HIV/AIDS crisis by setting up the Aled Richards Trust (now incorporated in the national Terrence Higgins Trust), which was able to mobilise large-scale official resources to prevent the spread of HIV/AIDS in the West of England, affecting not only LGBT people but other groups as well. In the 1990s and 2000s, there has been a veritable explosion of voluntary activity, with groups offering advice and support (Switchboard, Bristol Family and Friends), religious groups, leisure groups (outdoor walking, choirs, line-dancing), sports (rugby, football, cycling) and social groups for lesbians, as well as statutory-funded services for young people. At present there are a nunber of projects, such as OutStories Bristol, dedicated to exploring the LGBT heritage in various regions of the UK, which is a rich and largely untapped field. I have treated this work as a case study and hope that it may prove useful to studies of other provincial cities. It is structured around questions of civil society, such as the tension between political activism and cultural/social activities, the relationship between voluntary groups and the state (mainly local authorities) and the market (primarily gay pubs and clubs) and the position of LGBT people in society. It also discusses whether there is such a thing as the gay community. LGBT activism began as a purely voluntary movement but since the later 1980s has increasingly been able to mobilise outside resources. Written amidst the continung economic crisis, the book asks whether this is sustainable and what role there will be for voluntary action in the future. 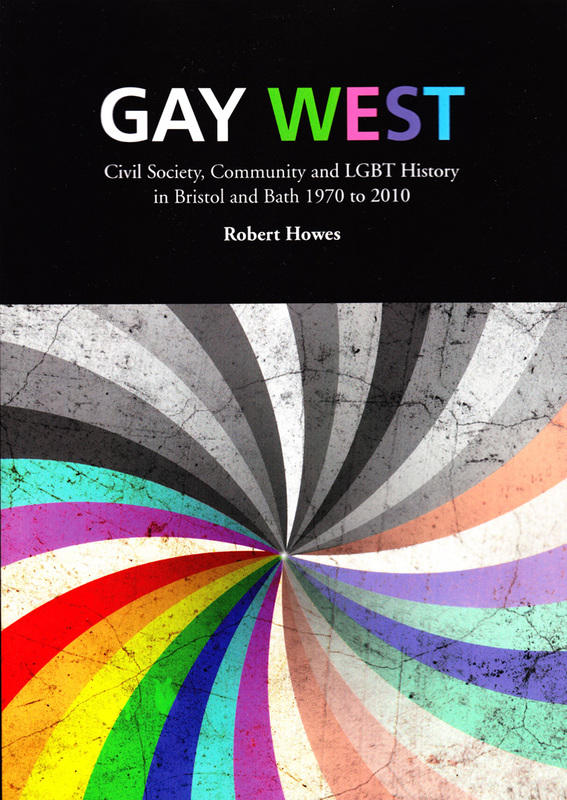 Gay West: Civil Society, Community and LGBT History in Bristol and Bath, 1970 to 2010 by Robert Howes is available at £12.99 from SilverWood Books. Click here to find out more about LGBT History Month 2012 activities and events in the Bristol & Bath area and nationally across the UK. This entry was posted in Events, Reflections, Robert Howes and tagged campaigning, lgbt. Bookmark the permalink.